Sometimes a product comes into your life and you have no option but to continue purchasing it... MyChelle seem to have me hooked! 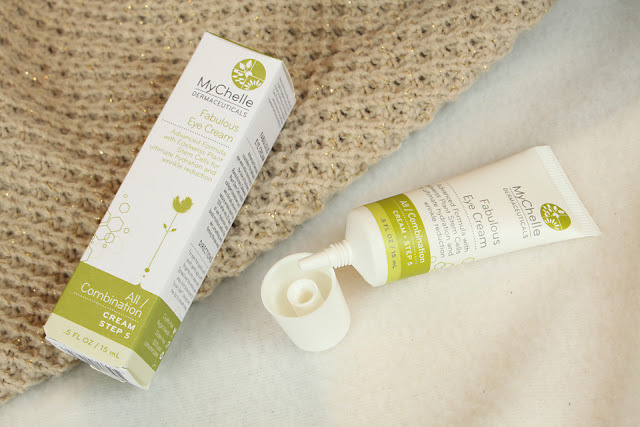 I was lucky enough to be sent two items from the MyChelle Dermaceuticals collection. I received the Advanced Argan oil, and the Fabulous eye cream. 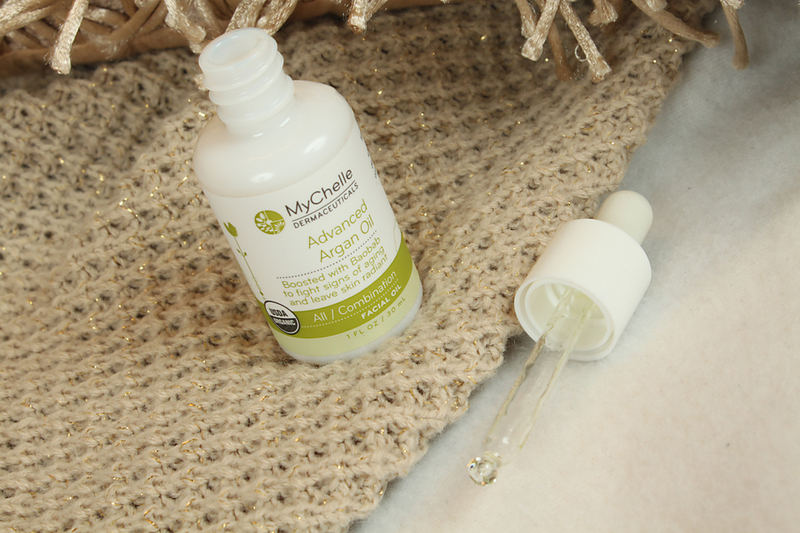 If you're not aware of MyChelle, they are a company that make USDA organic products that are bio active and ethically sourced. The produts are all vegan or vegetatian, cruelty-free and free of parabens, sulfates, phthalates, ureas, artifical colours or fragrances, petroleum, GMOs and gluten. So they are great not only for your body and skin, but for the environment and animals. A win all around! 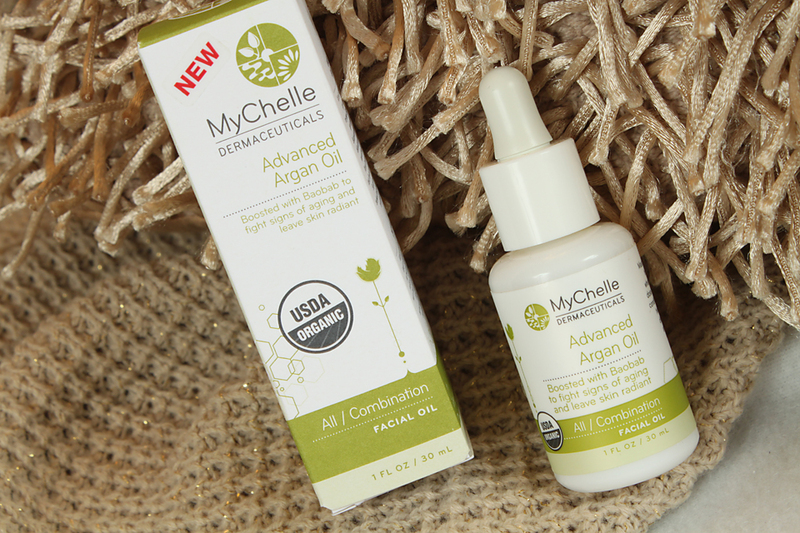 The Advanced Argan Oil is a product I wouldn't usually use. I have oily/ combination skin, and the idea of putting oil on my face was a big no-no for me for a long time. When it initially arrived at my door step I must admit, I did gulp a little. After reading the packaging, I saw that it said it was made with a blend of non-greasy, USDA certified organic superfood oils and this made me feel a little better. I learnt that this product can not only be used on your face but all over your body if you really want to. It can also be used in your hair, which has amazing effects and is part of my regular hair care routine now. Typically, I use this product just before bed as it does take a while to soak into your skin and I usually just don't have the time to wait in the mornings. I remove my makeup, cleanse, tone and then rub a couple of drops between my hands before rubbing it into my skin. It did take a couple of weeks before I noticed a difference, but when I did, all I can say is wow. My skin felt so smooth and soft, and it definitely helped my complexion. The only down side for this product is the packaging. It looks and feels great however the lid just doesn't fasten properly. I found this out the hard way when I took it away for the weekend and the oil leaked in my makeup bag. I learnt my lesson and it now stays firmly on my bedside table! Other than that, it's a fantastic product and I will definitely repurchase when the lid/ packaging problem is solved. The second product is the fabulous eye cream. As soon as I read that it diminishes fine lines, I was sold. I couldn't wait to try it out. It did take a good couple of months before I noticed any difference, but it definitely helped my skin. The formula inhibits collagen breakdown, which reduces wrinkle depth by 15% in 20 days. I was starting to lose heart after the 20 days but I'm so glad I stuck with it, as it has made a big difference. This eye cream feels very refreshing and is extremely smooth, I couldn't be without it now. Have you tried any of the MyChelle products before? If so leave a comment and let me know your thoughts and opinions.